The Irish began sailing to America in significant numbers by the 18th century. Hamstrung by English trade restrictions, mostly Protestant Irish from the North boarded ships in search of greater opportunity on the other side of the Atlantic. By the time of the American Revolution, a quarter of a million Irishmen had already immigrated to America. After nineteenth century industrialism took hold, legions of agrarian laborers abandoned American farms in favor of factory work in the cities. Cities grew rapidly, and the mode of connecting cities and expanding trade routes became a priority. The Irish who landed on American soil found ample opportunity in factories and along canals and railroads. Irish enclaves were formed across an ever-expanding America, with Irish concentration on the Eastern seaboard in New England, New Jersey, Pennsylvania, and New York. After the Great Famine struck the potato fields of Ireland in the 1840s, Irish immigration to America took on a strikingly different character. The famine Irish were not the Protestant, relatively well-to-do immigrants who had assimilated seamlessly into American society for nearly a century. The new Irish immigrants were largely poor, unskilled, unfamiliar with urban life, and Catholic. These Irishmen were not welcome. Contrary to America's renown for liberty and tolerance, the famine Irish were met widely with bigotry and hatred. Many Americans came to believe that an excess of foreigners and Catholics would destroy the fabric of a blossoming democracy. Anti-foreign and anti-Catholic mobs attacked convents and Catholic schools throughout the Northeast. Riots erupted in Philadelphia and New York. Irish Catholics were shunned by landlords and shop owners and denied work in the factories. 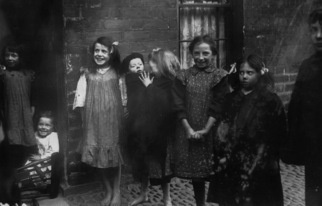 An unfavorable reception, coupled with immigrant loneliness and yearning for Ireland, intensified the growth of Irish slums. Filth, disease, crime, and alcoholism prevailed in the Irish ghettos. Ex-peasant Irishmen battled a debilitating sense of inferiority and yearned for respectability. Back in Ireland in the early part of the twentieth century, Ireland suffered great bloodshed as Irish Catholics made a concerted push for self rule. In 1919, a secret organization was formed with one primary objective in mind: unequivocal independence from Great Britain. 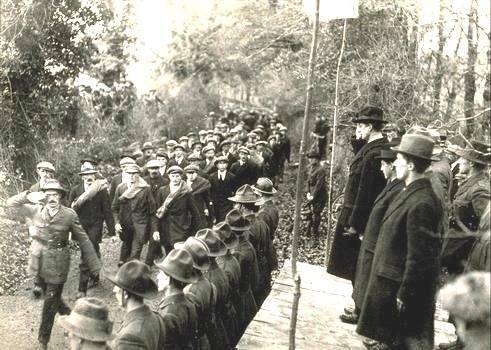 The Irish Republican Army, financed heavily by Irish Americans, fought a protracted guerilla war against British forces in Ireland, bombing police stations, convoys, and any outposts of British control. In a brutal and desperate effort to suppress the rebellion, British auxiliary forces known as the Black & Tans burned villages, executed rebels, and murdered civilians. A brief cease-fire was extinguished by months of bloody civil war. In 1922, England finally established the Irish Free State among the twenty-six counties of the South, granting financial, judicial, political and educational independence to Ireland. Centuries-old problems continued to plague Ireland in the early 20th century as a majority of its people lived and died with agriculture. As agricultural exports sagged, many young Irishmen flocked to the cities for work, but low industrial wages and the condition of urban slums made life unbearable. In the 1920s, over 20% of the Irish urban population lived in inadequate, overcrowded housing. 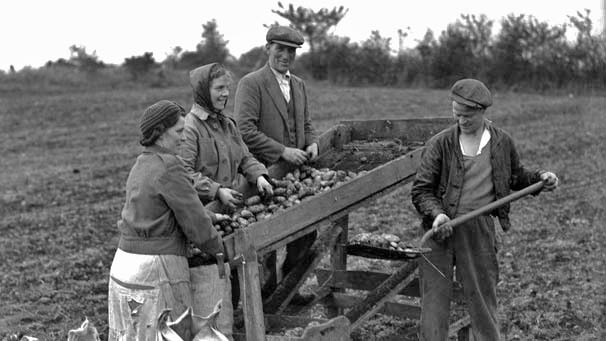 Facing little opportunity on the farms and squalid conditions in the cities, the young people of Ireland continued their mass exodus to other lands of opportunity. For most Irish emigrants, departure for America would be preceded by a gathering of friends and family. It was called the American wake, because so often those left behind would be saying their final goodbyes. In America in the late 19th and early 20th centuries, Irish immigrants in America began to rise from the depths of despair, finding salvation in their only political capital: their escalating numbers, their unbreakable unity, and their irrevocable right to vote. Throughout the latter half of the nineteenth century, in cities across the Northeast, Irish immigrants banded together in support of political leaders who championed their causes. 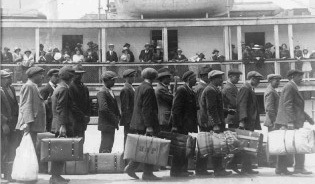 Labor unions became inundated with Irishmen who ensured good paying jobs for Irish immigrants. Numerous Irish social groups and Irish organizations sprang up and gave Irish immigrants a sense of belonging. The Catholic Church expanded to become a major force in representing Irish values socially and politically. By the end of the nineteenth century, the Irish had permeated American culture. Songs like "Sweet Rosie O'Grady" and "My Wild Irish Rose" became genuinely American. Irishmen like John L. Sullivan, Paddy Ryan and Gentlemen Jim Corbett dominated the vastly popular sport of boxing. In America's pastime, John McGraw and Charles A. Comiskey built baseball empires in New York and Chicago, respectively. And the "Fighting Irish" were fast becoming the preeminent name in football. Nowhere was the influence of the Irish immigrant more pronounced than in America's most powerful city, New York. 75% of the famine Irish landed in New York harbor, and by 1860 a quarter of New York City's population was Irish. 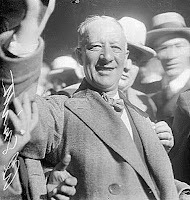 Within a few decades, the Irish held firm control over Tammany Hall, the Democratic Party political machine that controlled much of New York politics. 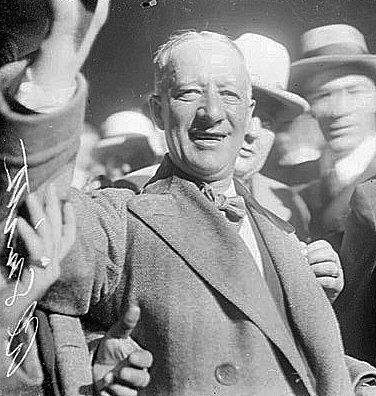 The rise of the Irish in New York culminated when Al Smith, the grandson of Irish immigrants, rose from the tenements of the Lower East Side to become governor of New York in the 1920s. 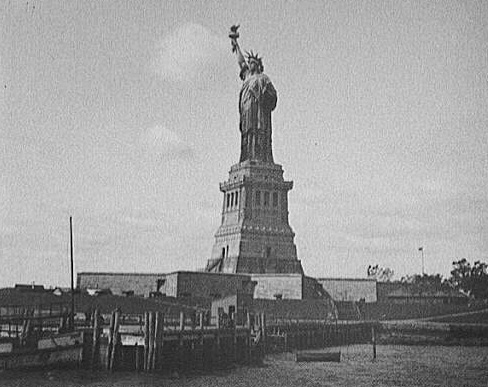 For the Irish immigrant who anchored in New York Harbor in the first decades of the twentieth century, no longer were prejudice, hatred and aggression there to spurn them. In their place was a new Irish-American identity, confident, proud, and irrepressible, ready to be assumed by the next greenhorn to step down from the deck of an Irish steamship.